Russian popular culture and folklore were a central theme in Dostoevsky's work, and folklore imagery permeates his fiction. Dostoevsky and the Russian People is a comprehensive study of the people and folklore in his art. 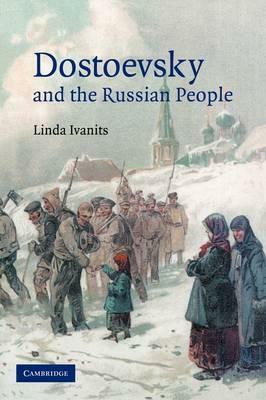 Linda Ivanits investigates the integration of Dostoevsky's religious ideas and his use of folklore in his major fiction. She surveys the shifts in Dostoevsky's thinking about the Russian people throughout his life and offers comprehensive studies of the people and folklore in Crime and Punishment, The Idiot, The Devils, and The Brothers Karamazov. This important study will illuminate this unexplored aspect of his work, and will be of great interest to scholars and students of Russian and of comparative literature. Introduction: the people in Dostoevsky's art and thought; 1. The face of the people 1821-65; 2. The world of the people in Crime and Punishment; 3. The Idiot: where have all the people gone? ; 4. Fumbling toward Holy Russia in The Devils; 5. Back in Russia: the face of the people 1871-7; 6. The Brothers Karamazov: Christ walks the Russian Land; Conclusion: Dostoevsky and the people; Notes; Bibliography; Index.